The United Kingdom’s withdrawal from the European Union will have an impact on the rights of British nationals and some administrative formalities in order for them to stay in Luxembourg. The rights and procedures depend on the entry into force of the Withdrawal Agreement negotiated between the European Union and the United Kingdom. The draft Withdrawal Agreement agreed between the European Union and the United Kingdom provides for British nationals and their family members to keep their right of residence in another EU Member state when the United Kingdom leaves the EU. These provisions will enter into force provided that the British Parliament and the European Parliament approve and ratify said Agreement. 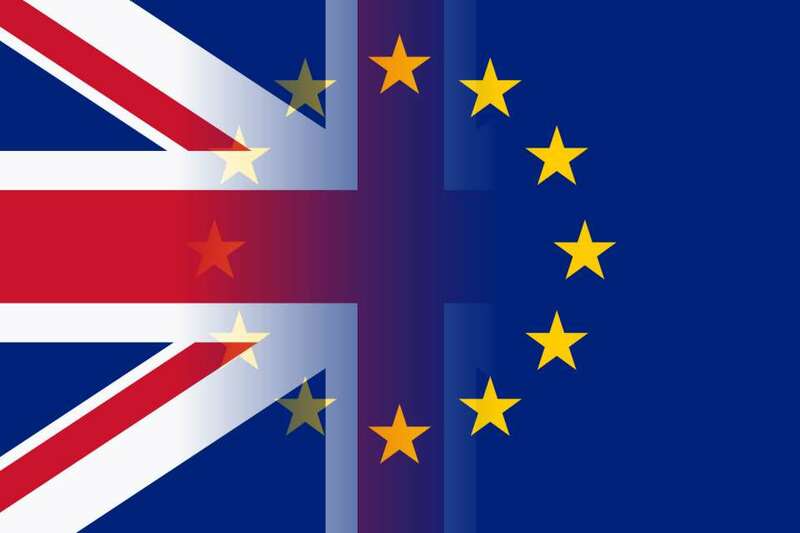 The draft Agreement provides for a transition period until 31 December 2020 during which the rules on the free movement of persons will continue to apply to British nationals and their family members. Family members of a British national covered by one of the two points above and arriving in Luxembourg after the transition period. the direct ascendant (parent) dependant on the Union citizen or his/her spouse/partner. have a common child for whom they jointly assume parental responsibilities. Both partners are not to be engaged in a marriage, a registered partnership or a long-term relationship with another person. British nationals who are holders of a diplomatic card, a legitimation card or other residence document issued on the basis of the law of 7 August 2012 on the identity card for resident members of the diplomatic and consular corps and agents of the European Union and international organizations having their headquarters in Luxembourg. The Withdrawal Agreement does not affect these people’s status after Brexit. British nationals as well as their family members who fall within the scope of the Withdrawal Agreement have the same rights as EU citizens and their family members and keep these rights even after the end of the transition period provided for in the Withdrawal Agreement. The right of residence is subject to the same conditions British nationals enjoyed while being Union citizens. Thus, the withdrawal of the right of residence is possible if a person becomes an unreasonable burden on the social assistance system, in the event of abuse of the rights or fraud, or for reasons of public policy or public security. The right of permanent residence is available after five years living in Luxembourg. It can only be withdrawn for reasons of public safety. After the transition period, the right of permanent residence is lost after five years of continuous absence from Luxembourg. It should be noted that after the transition period the right of residence is only valid in the country of residence, in this case Luxembourg. Those covered by the Withdrawal Agreement will have a specific residence document, which certifies their status as beneficiaries of the Withdrawal Agreement. This document is different from the document issued to Union citizens. The documents issued to British nationals and their family members already residing in Luxembourg at the time of Brexit are replaced by this new document before the end of the transitional phase. This also applies to documents issued to British nationals and their family members arriving during the transition period. These new residence documents will be issued in a phased manner after the United Kingdom’s withdrawal. Pending the issue of a new residence document, the existing residence documents (registration certificate, permanent residence certificate, residence card and permanent residence card) shall also serve as documents certifying the regularity of residence until the end of the transition period. Those concerned do not need to take any specific steps to replace their residence document. Further details will be published on the website guichet.lu. The social security situation of people moving within the European Union is regulated by European regulations which make it possible to coordinate the social security legislation of the Member States in order to avoid the loss of social security rights in the event of movement from one country to another. The draft Withdrawal Agreement provides that these European regulations will remain fully applicable during the transition period. Hence, nothing changes with regards to social security until then. After this transition period, European legislation is in principle no longer applicable. However, the draft Withdrawal Agreement provides that European regulations on social security coordination will remain applicable to certain categories of persons, even after the transition period. These regulations will therefore continue to protect the rights of persons who exercised their right to free movement before the end of the transition period. This includes British citizens residing in Luxembourg by the end of the transition period. Further information on these situations will be published at a later date. Financial aid/support for higher education. In case of a no deal, British nationals no longer enjoy the rights as Union citizens but are considered as third country nationals. As such, they are subject to the rules governing entry and residence of third country nationals and their rights associated with the right of residence will no longer be those of a Union citizen, but those of a third country national. This applies to both British nationals residing in Luxembourg at the time of Brexit and to those arriving after the United Kingdom’s withdrawal. This applies to British nationals and their family members who reside in Luxembourg at the time of Brexit. This also applies to British nationals and their family members who wish to reside in Luxembourg after the United Kingdom’s withdrawal. British nationals who have a second nationality (the British nationality and the nationality of another Member state of the European Union, including Luxembourg or of one of the other states which have approved the Agreement on the European Economic Area (Norway, Iceland, Lichtenstein) or the Swiss Confederation). These persons may exercise the rights arising from their second nationality. British nationals who are holders of a diplomatic card, a legitimation card or other residence document issued on the basis of the law of 7 August 2012 on the identity card for resident members of the diplomatic and consular corps and agents of the European Union and international organizations having their headquarters in Luxembourg. These people are not affected by the Withdrawal Agreement and keep their status after Brexit. They don't need a new document. After the United Kingdom’s withdrawal, British nationals no longer have the right of residence as Union citizens but are considered as third country nationals. Hence, British nationals must have a residence permit and meet the conditions for a category of residence permit as stated in the amended law of 29 August 2008 on the free movement of persons and immigration. After the United Kingdom’s withdrawal, British nationals living in Luxembourg will need to apply for a residence permit as a third country national. Those British nationals already living in Luxembourg before the United Kingdom’s withdrawal will be able to continue using their existing residence card as proof of residence for one year after the withdrawal date. Beyond that deadline, they will need to have a third country residence permit for which they will need to apply at the latest three months prior the end of the one-year period, i.e. nine months after the withdrawal date. Procedural facilitations will be applied when processing applications for residence permits for British nationals and their family members. Further information on the application procedure will be published in due course on www.guichet.lu. These procedural facilitations only apply to British nationals residing in Luxembourg before the United Kingdom’s withdrawal. British nationals, who wish to reside in Luxembourg after the withdrawal date, will need to follow the existing third country national registration procedure. They are required to apply for a residence permit before entering Luxembourg, and can only reside in Luxembourg once their application has been approved. The social security situation of people moving within the European Union is regulated by European regulations which make it possible to coordinate the social security legislation of the Member States in order to avoid the loss of social security rights in the event of movement from one country to another. In the absence of a withdrawal agreement, these regulations will no longer apply in relations with the United Kingdom. As a resident of Luxembourg, the social security situation of British nationals will be regulated by Luxembourg social security legislation. Under Luxembourg law, anyone working in Luxembourg is affiliated to Luxembourg social security, regardless of nationality. British nationals no longer enjoy the rights as Union citizens but are considered as third country nationals. Within the framework of the simplifications decided by the Luxembourg government, access to the job market will be maintained for British nationals who reside and began their professional activity in Luxembourg by the time the United Kingdom leaves the EU. Those arriving in Luxembourg after the United Kingdom’s withdrawal must have a residence permit allowing them to engage in such an activity in accordance with the relevant provisions of the amended law of 29 March 2019 on the free movement of persons. Like any third country national, British nationals seeking recognition of their academic and professional qualifications will have to prove they have a residence permit and meet the conditions required by the amended law of 29 August 2008 on the free movement of persons and immigration. A simple copy of their identity card will no longer be sufficient. Financial support for higher education will be limited to those British students who have long-term residence status according to the amended law of 29 August 2008 on the free movement of persons and immigration. British nationals will no longer be eligible to positions which fall under the status of civil servant or employee of the State within the meaning of Luxembourg law. However, they may still be employed as employees under private law by means of the budget law which provides for the recruitment, from year to year, if necessary, of third country nationals for the services of the State. A n extensive Q&A segment is regularly updated on the website guichet.lu. In the event of the entry into force of the Withdrawal Agreement, British nationals and their family members, who fall within the scope of the Withdrawal Agreement, will have the same rights as Union citizens with respect to access to the labour market. British nationals and their family members who reside in Luxembourg and are in paid employment in Luxembourg at the time of Brexit may therefore continue to work after the United Kingdom’s withdrawal. They do not need a specific authorisation and do not need to take steps to be able to continue working. British nationals and their family members, who reside in Luxembourg at the time of Brexit also have the right to begin a salaried activity after the United Kingdom’s withdrawal without having to apply for a specific authorisation. The residence document of the persons concerned will remain valid until it is replaced by a new residence document which will certify their status as beneficiary of the Withdrawal Agreement. British nationals, and their family members, who arrive in Luxembourg after the United Kingdom’s withdrawal and before the end of the transition period (31 December 2020) can also freely access the labour market. Persons who are family members of a British national residing in Luxembourg before the end of the transition period and who arrive in Luxembourg after the end of the transition period (from 1 January 2021) are also beneficiaries of the Withdrawal Agreement. They are therefore entitled to free access to the labour market. Upon arrival, they will receive a residence document which will certify their status as beneficiary of the Withdrawal Agreement. British nationals arriving after the transition period, who are not family members of a British national already residing in Luxembourg before after the transition period, no longer enjoy the right of free access to the labour market. These persons will be subject to the rules governing access to the labour market for third country nationals. They must therefore apply for a residence permit for one of the categories provided for by the law of 29 August 2008 on the free movement of persons and immigration (as amended), which allows them to exercise a salaried activity. A ‘frontier worker’ is any worker who is employed on the territory of the Grand Duchy of Luxembourg and resides in the territory of another State, to which he in principle returns every day or at least once a week. British nationals residing either in another EU Member State or in the United Kingdom and working in Luxembourg are authorised to engage in paid employment in Luxembourg, if the salaried activity begins after the transition period. The frontier workers concerned may request a letter attesting their right to exercise their salaried activity in Luxembourg. They must not wait for this letter to be issued to them before starting the exercise of a salaried activity. British nationals who reside either in another EU Member State or in the United Kingdom and who wish to start work in Luxembourg after the transition period will be subject to the rules governing access to the labour market for third country nationals. They must therefore have a work permit to work in Luxembourg and must wait for the work permit to be issued before they can start work. British nationals wishing to do an internship in Luxembourg after the United Kingdom’s withdrawal may do so without having to obtain a specific authorisation. They are subject to the general rules on the right of residence for British nationals as provided for in the Withdrawal Agreement. These conditions are similar to those applicable to citizens of the Union, both for a stay of less than three months and for a stay of more than three months. This applies in principle to all British nationals staying in Luxembourg at the time of the United Kingdom’s withdrawal from the EU, and to British nationals arriving during the transition period provided for in the Withdrawal Agreement (i.e. before 31 December 2020). British nationals who have started an internship before the United Kingdom’s withdrawal can continue their internship after the United Kingdom’s withdrawal. They do not need a specific authorisation and do not need to take any particular steps. British nationals arriving after the transition period who are not beneficiaries of the Withdrawal Agreement are considered third country nationals. They must therefore have a residence permit for one of the categories provided for by the law of 29 August 2008 on the free movement of persons and immigration (as amended), which enables them to do an internship in Luxembourg. This also applies to British nationals enjoying a right of residence under the Withdrawal Agreement in another Member State, as the right of residence as provided for by the Withdrawal Agreement is valid only in the country of residence. The explanations given in the three previous paragraphs also apply to third country nationals who are family members of British nationals. A ‘posted worker’ according to article L.141-1 paragraph (3) of the Labour Code, is any employee normally working abroad and carrying out his work on the territory of the Grand Duchy of Luxembourg, for a preset period for the execution of the service provision for which the contract of service provision was concluded. Any employee posted to the territory of the Grand Duchy of Luxembourg, regardless of his nationality, must be declared as soon as work begins on Luxembourg territory by his employer whose headquarters are established outside the territory of the Grand Duchy of Luxembourg, according to the Article L.141-1 of the Labour Code. As part of its inspections, the Inspectorate of Labour and Mines (Inspection du Travail et des Mines - ITM) checks whether the posted worker has, where applicable, a residence permit in accordance with article L.142-3 point 10 of the Labour Code. The withdrawal of the United Kingdom from the European Union will have an impact on the right of British companies to post worker in Luxembourg as well as on the residency document that must be available to posted workers. In the absence of a Withdrawal Agreement, British nationals no longer benefit from the rights as Union citizens after the United Kingdom’s withdrawal, but are considered third country nationals. They are therefore subject to the rules on the entry and residence of third country nationals and the rights associated with the right of residence will no longer be those of a Union citizen, but those of a third country national, including with regard to access to the labour market. British nationals must therefore have a residence permit for one of the categories provided for by the law of 29 August 2008 on the free movement of persons and immigration (as amended), which allows them to exercise a salaried activity. However, in order to ensure the continuity of the regular residence of British nationals and their family members resident in Luxembourg at the time of the United Kingdom’s withdrawal, the Luxembourg Government has decided specific measures in favor of these persons. Thus, the persons concerned are allowed to remain in Luxembourg after the withdrawal under cover of the residence document issued on the basis of Directive 2004/38/EC of the European Parliament and of the Council of 29 April 2004 on the right of citizens of the Union and their family members to move and reside freely within the territory of the Member States until one year after the United Kingdom’s withdrawal. After that date, the current documents will no longer be considered valid and all British nationals must have a residence permit based on the relevant provisions of the law of 29 August 2008 on the free movement of persons and immigration (as amended). The persons concerned must apply for a residence permit at the latest three months before the end of the one-year period, i.e. nine months after the withdrawal date. Moreover, the Luxembourg Government has decided to apply procedural facilitations when processing applications for residence permits of British nationals and their family members. British nationals residing in Luxembourg and exercising a salaried activity in Luxembourg at the time of Brexit, may therefore continue to work after the United Kingdom’s withdrawal under the cover of their current residence document. However, they must apply for a residence permit for one of the categories that allows them to pursue a salaried activity. This also applies to family members of British nationals who are third country nationals. The persons concerned are authorized to continue their salaried activity pending the issue of their residence permit. British nationals residing in Luxembourg before the United Kingdom’s withdrawal, but wishing to start a salaried activity only after the withdrawal date are allowed to work, without being subject to a labour market test. However, this only applies during the transitional phase for one year after the withdrawal date. If the employment begins after that one-year period, British nationals shall be subject to the common rules applicable to third country nationals, and will be subject, where appropriate, to a labour market test. The applicable procedure will depend on the category of residence permit they have at that time. British nationals arriving in Luxembourg after the United Kingdom’s withdrawal must follow the general procedure in place for third country nationals. They must therefore first apply for a residence permit, which must be notified favorably, before they can settle and start working in Luxembourg. British nationals who are family members of a national of an EU Member State (including Luxembourg) enjoy a right of residence as a family member of a Union citizen. They are therefore allowed to freely access the labour market without having to take any specific steps. British nationals who work in Luxembourg and reside in another EU Member State or the United Kingdom must have a work permit in Luxembourg. The persons concerned who are already working in Luxembourg at the time of Brexit are authorised to continue to exercise their salaried activity pending the issue of a work permit. Individuals who begin work after the United Kingdom’s withdrawal must wait for the work permit to be issued before they can begin work. - In the event of a stay of less than three months, the persons concerned are in principle not required to make any prior arrangements. However, they will be subject to the general conditions for a stay of less than three months in the Schengen Area, including the requirement to prove sufficient resources. - In the event of a stay exceeding three months, the persons concerned must apply for a residence permit which must be notified favorably before entering Luxembourg territory. The category of residence permit depends on the nature of the internship. If the internship started before the United Kingdom’s withdrawal, a British trainee will, for one year after the withdrawal date, be authorised to continue his internship under the cover of his residence document issued before the withdrawal date. He will however be required to apply for a residence permit for a category allowing him to do his internship. The application must be submitted at the latest three months before the end of the one-year period. It should be noted that British nationals who are family members of a national of an EU Member State (including Luxembourg) enjoy a right of residence as a family member of a citizen of the Union. They are therefore allowed to practice an internship in Luxembourg without having to make specific arrangements. A 'posted worker', according to the article L.141-1 paragraph (3) of the Labour Code, is any employee normally working abroad and carrying out his work on the territory of the Grand-Duchy of Luxembourg, for a preset period for the execution of the service provision for which the contract of service provision was concluded.